Leontochir is a tuberous genus in the Alstroemeriaceae family with one species from Chile. 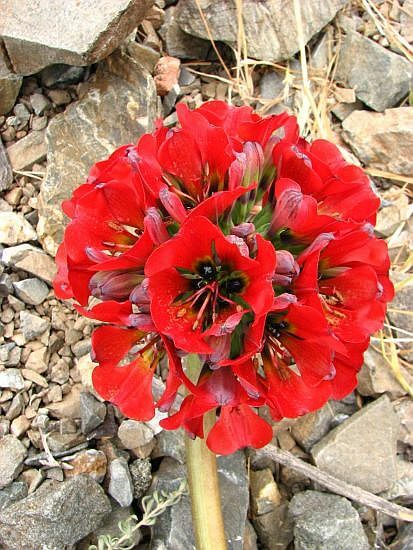 It is very similar to Alstroemeria. 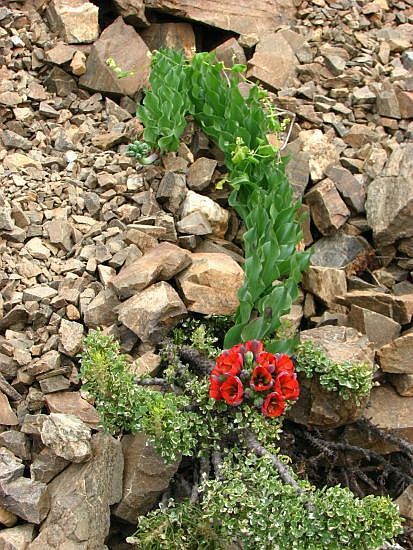 Leontochir ovallei is endangered in the wild, where it is eaten by indigenous guanacos and introduced goats, especially the latter; plants survive by growing up through spiny shrubs and, as here, in rocky cliffs of the Coast Range, in a very arid climate subject to marine fogs. 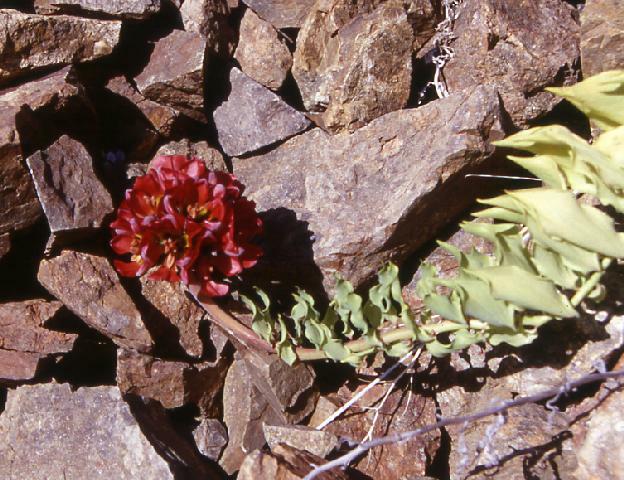 Photo 1 by Jane McGary taken in a canyon near Carrizal Bajo, Chile, in October 2002. Photos 2-5 were taken by Eugene Zielinski October 2011 in Parque Nacional Llanos de Challe. 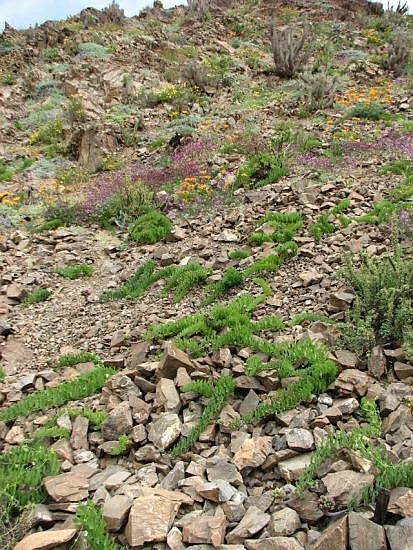 The last picture shows how the plants trail between and over the rocks on a steep talus slope. 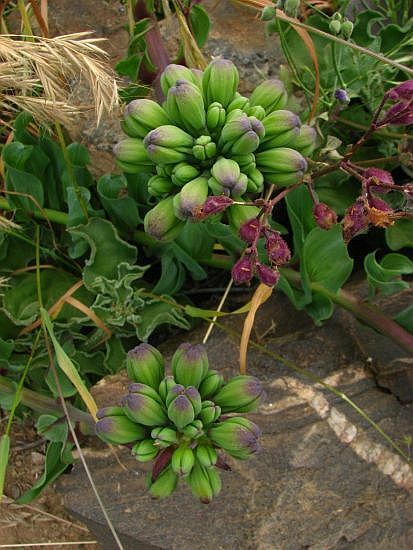 The vernacular name of the plant is Garra de leon 'lion's claw'.